On Corrientes Ave. at walking-distance from the tango-area of Abasto, the perfect place to rest and enjoy Buenos Aires. We have shared or privates rooms, with or without private bathroom, big common area with balcony and city view, TV 29, Cable, DVD, Free internet access, Playstation, Music, Kitchen with fridge for guest, breakfast room, terrace. Curfew from 23hs to 8hs. please notice us if you come during curfew. We have rooms for 2, 3, 4, and 6 people, tourist information, spanish courses, dinner tango shows, and all the information that you need. Enjoy our parties, know people like you, meet friends, enjoy Buenos Aires as you want!!! Located in he center of Buenos Aires, on Corrientes Avenue; the street that never sleeps; Hostel Plaza is the perfect place to rest and enjoy Buenos Aires. Get access to any place! Walk by the Abasto Neighbornhood, place of tango and shopping, in a safety area with cultural activities every day. Where located in front of Medrano Subway station and may buses stops offering tousristic orientation to visit Palermo, Recoleta, San Telmo or Caminito by bus or getting an specialized tour. Shared and Private rooms. 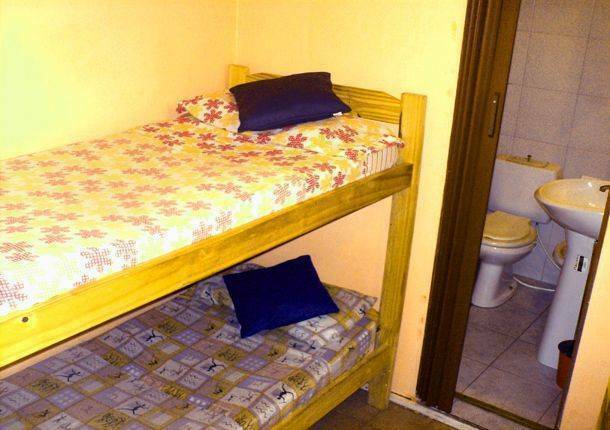 Linen included Ventilator Private rooms with bathroom TV Cable Room with balcony Security lockers free for shared rooms Located in he center of Buenos Aires, on Corrientes Avenue; the street that never sleeps; Hostel Plaza is the perfect place to rest and enjoy Buenos Aires. Get access to any place! Walk by the Abasto Neighbornhood, place of tango and shopping, in a safety area with cultural activities every day. Where located in front of Medrano Subway station and may buses stops offering tousristic orientation to visit Palermo, Recoleta, San Telmo or Caminito by bus or getting an specialized tour. 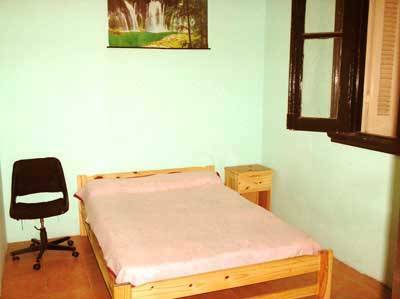 Private and shared rooms with or without bathroom; Rooms with TV Cable Linen included in room Living room, TV; DVD; Playstation and Music. Full equiped kitchen; terrace with BBQ area and balcony with and excelent city view. tipycal Argentine breakfast included; bed linen, sheets and towels; free lockers, Internet access and WI FI; medical assist and security cameras. Share our culture and meet worldwide travelers. Enjoy Hostel Plaza experience!! Every night, we offer promotional menus of typical food and different activities at living room. We can provide information for best tours and rides. Tigre: 30 minutes by train. Patio de comidas, Cinema, etc. Restaurants, Quick food, Cinema, etc. 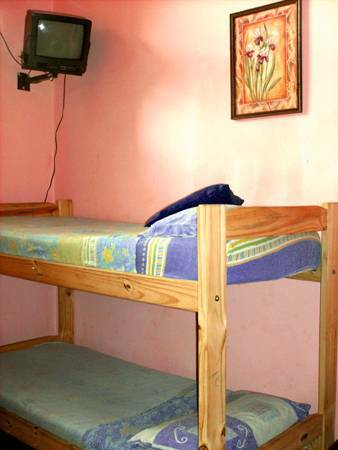 Rates per person, it include taxes, super argentinian breakfast, and free internet access. we only accept pesos and dollars. Corrientes Ave 3973. Capital Federal. 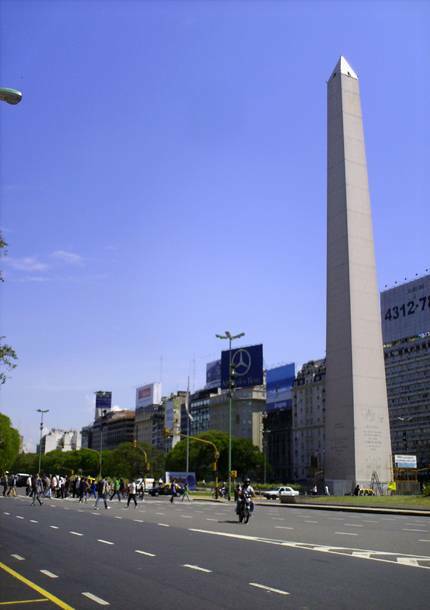 Buenos Aires. Argentina. Located in the center of town. 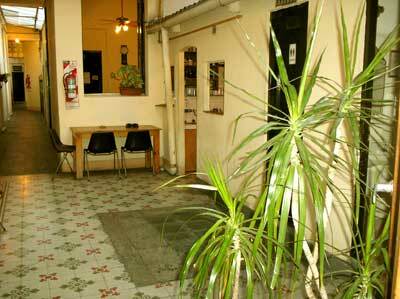 Few meters from the abasto shopping and with access to principal buses stops. in front of Medrano Subway Station.